I can see your pores, Snake. Being a statue, and not an action figure, this won’t be coming with interchangeable hands and weapons and accessories. Though you can take his scarf off, and the detail on some of his gear is crazy. It’s made by Gecco, the same people behind the Quiet statue from earlier in the year. 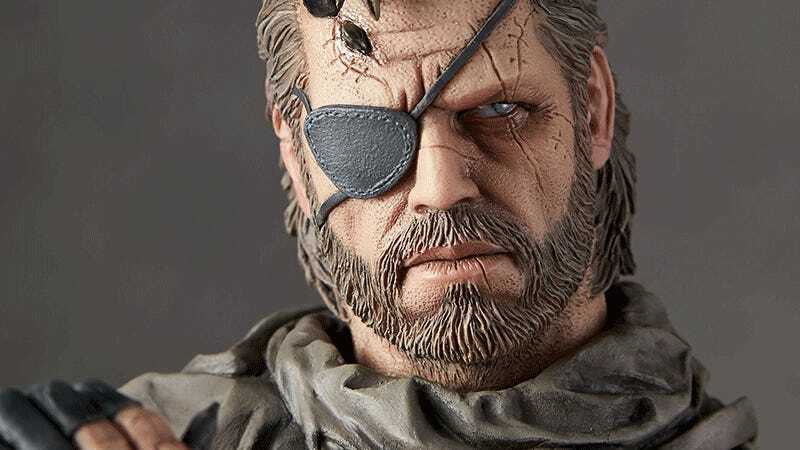 As a bonus, anyone pre-ordering this or the Quiet statue will now get a DD puppy to go with them.